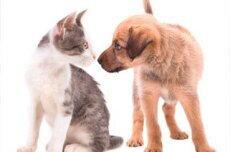 Animal & Bird Clinic of Mission Viejo is a full service veterinary medical facility. Our professional and courteous staff seeks to provide the best possible medical, surgical and dental care for our highly-valued patients. We embrace the holistic approach to pet health and wellness. We balance traditional medicine with herbal, homeopathic,acupuncture, laser and other complementary therapies. We are committed to promoting responsible pet ownership, preventative health care and health-related educational opportunities for our clients. Our clinic is unique in that we provide quality medical care to all species. As well as dogs and cats, our doctors and staff possess the skills and knowledge to treat birds, iguanas, chameleons,snakes, tortoises, turtles, mice, rats, ferrets, frogs, hamsters, chinchillas, rabbits, guinea pigs, goats, pigs and more! Our clients are friends as well as customers and we value their continued trust and goodwill. Our goal is to educate and involve clients in a lifetime health care plan for their special companions. Dr. Doug Coward received his Bachelor of Science in Biology from the University of Santa Clara, a Master of Science in Animal Ecology and a Doctor of Veterinary Medicine from the University of California at Davis. He is a member of the American Association of Avian Veterinarians and the Association of Holistic Veterinarians. Prior to settling down in Mission Viejo, Dr. Coward traveled throughout the world studying wildlife in their native habitats. Since 1985, he has worked at practices specializing in exotic animals, dermatology, emergency medicine and critical care. Dr. Peter Bloch received his Bachelor of Science in Biology from Cornell University in Ithaca and a Doctor of Veterinary Medicine from the New York State College of Veterinary Medicine at Cornell. Dr. Bloch is a New York native, moved to California following graduation and has been practicing veterinary medicine since 1976. He is certified in veterinary acupuncture and is a member of The Veterinary Medical Assistance Team(VMAT), which addresses emergency animal issues at disaster sites. Most recently VMAT had him deployed to help the hurricane victims in Texas. He is pictured here with his chocolate lab "Moses." Dr. Brett Hensley began at the Animal & Bird Clinic in July 2005. He graduated from UCLA with a degree in Biology in 2000 and a doctorate of veterinary medicine from UC Davis in 2005. Dr. Hensley grew up in Davis, California and also has local family in Southern California. He has advanced training in avian and exotic animal medicine and surgery with an externship in San Diego as well as extensive studies at UC Davis. He is also skilled in all aspects of small animal medicine and surgery. His lovely wife Kerri has an interesting career as a geneticist. They have two young sons, Brendan and Max, and also share their life with their rescue cat, Mochi and their dog, Myles; along with turtles, tortoises and a bearded dragon. Dr. Greg Myers was a technician at our clinic while attending the University of California-Irvine,where he earned his Bachelor of Science degree. He went on to earn a Master's Degree in Animal and Veterinary Science from Cal Poly Pomona. The findings of his thesis were published in an article in the Journal of Experimental Biology in 2003. Dr. Myers earned his Veterinary degree at UC Davis and has been back working with us since 2007. Hawaiian-born from the island of Oahu, Dr. Myers attended the legendary Punahou High School. He enjoys spending his free time with his wife Kristy (also a veterinarian) and son Collin along with their cat Leilani and Maximus< the mighty chihuahua. As the Practice Manager, Mike joined the clinic in 2008, bringing many years of management experience, in a variety of business types. Sarah has worked at the clinic since 1999. She started as a receptionist but has spent most of her time as the office manager. She misses the interaction with the wonderful clients and being able to cuddle with all the animals, but at least she has her dog Jack at home. Sarah enjoys working here mostly because of everyone's deep compassion for animals and the fact that we are all one big family. She spends her free time with her daughter Wendy. Juan was born in Iberica, Mexico and came to California in 1992. He started working with reptiles in 1995, but already had experience with them since when he was a child. Juan has been working at the clinic since 2003, and loves taking care of all kinds of pets. He enjoys spending what little free time he has with his wife and young daughter. Juan owns many reptiles: a 14 lb lizard, a 12 foot long python, scorpions, tarantulas, ...a total of 22 reptiles. Rosa started at The Animal & Bird Clinic in December 2005 as a veterinary technician and has a total of over 20 years of experience in the animal field including grooming, surgical duties, x-ray, dentals and much more. She is indispensable to our clinic and loves taking care of all of the pets at the hospital. One of our newer staffers, Charmine is a Registered Veterinary Technician who brings not only her nursing skills, but great personality to our clinic. Before earning her RVT license, she volunteered at numerous facilities including the National Cat Protection Society, HemoPet and the lab at UCLA. Charmine lives with her cats Indika and Lenor. Denise began working for the clinic in 2016, while studying for her Registered Veterinary Technician license and working at a north OC clinic. After receiving her RVT designation, Denise began working for us full-time and we are proud to have her. An Orange County native, Denise is soon to be wed and currently lives with her German Shepherd, Charlie. Kelly began working with us in May of 2014. She divides her time between our clinic and working at the Helen Sanders Cat Facility at Seal Beach. She owns two crested geckos as well as helping to take care of many family pets. Kelly also does pet portrait commissions, donating half of all profits to the Seal Beach shelter. Patty started working at the clinic in 1997. She works part-time in reception and feels that she offers total compassion and dedication to all the clients and their pets. Patty has 2 daughters that she adores and is very proud of. Outside of work she enjoys any activities that are family oriented, and is involved with different ministries within her church. A full-time "anchor" of our reception team, Samantha started working at the clinic in March of 2007. She has two Boston Terriers, multiple birds, a hedgehog, tortoises, a rat, and a mouse that keep her busy in her spare time. She enjoys spending time with her new husband and has hopes of opening her own pet store in the future. Working part time with us since 2011, Tracy started as one of our kennel attendants and subsequently moved to our reception area to assist in our customer service. When not working, Tracy enjoys spending time with her husband and two children, as well as taking care of pets of multiple species. Originally starting with us in 2007, Chris left us to move to the human side of medicine. She has rejoined out team part-time and brings to us a wealth of experience. Chris is a proud owner of a wonderful German Shepherd Dog named Bella. Lisa joined us in September of 2013 as a referral by her daughter SeaJay, who also is one of our kennel attendants. While not at work, Lisa spends her time with her husband and children, caring for her father and helping with the multiple animals (both large and small) that the family owns.